Perfect Student Car! Or For Anyone on a Budget But Doesn't Want to Sacrifice Quality! Come See Us At 1300 Ford On Regent Ave West and We'll Show How This is Possible! 2008 Ford Fusion SE 2.3L 4 Cly, Equipped with 6-way Power Seats, Cruise Control, Dual Heated Power Side Mirrors, Stainless Steel Exhaust, Halogen Headlights, Speed Sensitive Wiper Blades, ABS 4-Wheel Discs Brakes, A/C, Power Windows, Anti-Theft System, Remote Keyless Entry, AM/FM/CD/Sirius XM Entertainment. 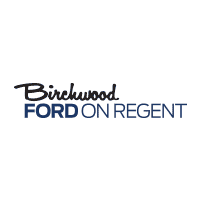 Why buy from Birchwood Ford? Not only do we offer Market Value Pricing, but we have all of these added services and "extras:" - Provincial Safety Inspection - 172-point Inspection - Frame Inspection - Mechanical and Cosmetic Reconditioning - Lien Search - Vehicle History Report - Accident/Damage Report - Stole Vehicle Report - Available Extended Warranties - Relaxed "Low Pressure" Sales Experience - Free Trade-In Appraisals - Finance Pre-Approval Service - Free Credit Report Review and Counseling - On-Site Service Department - Available Vehicle Protection Products - Available Loan Protection Products - Chartered Bank Financing - Special Financing - Fresh Start Credit Recovery Program - Member of the Better Business Bureau - Member of the Used Car Dealers Association - Pet Friendly Facility Financing available with 100% guaranteed approval As additional value, the ESSENTIAL VEHICLE PROTECTION PACKAGE is available for purchase with all pre-owned vehicles, which includes: 3 Years- Roadside Assistance 3 Years – Key Replacement 3 Years- Tire Road Hazard Warranty 3 Years- Rim Hazard Warranty 3 Years- FREE Annual Tire Rotations 5 Years- Theft Protection with $5,000 Guarantee NO Trade-In Required! NO Money Down Needed! Call us at 204-296-8868 or go to WWW.BIRCHWOODFORD.CA to browse our inventory!